Harvey-Preston Electric Company, Inc. was founded in 1967 by Lawrence Harvey and Neal Preston. Incorporated in 1968 as a two-man shop, HPE has grown into a company that can meet all your electrical needs in Arkansas, Oklahoma, and surrounding areas. With over 40 years of service and installations, we have the training and experience required to meet your electrical needs, no matter what size or type of project you have. We’re experts in all types of Industrial Electrical Applications, meeting your shutdown deadlines, and keeping your production at a maximum. By hiring Harvey-Preston Electric Company, Inc. as your electrical contractor, you partner with a company that will operate as an extension of your workforce – working within your timelines and budget requirements. Your company’s goals become our company’s goals. 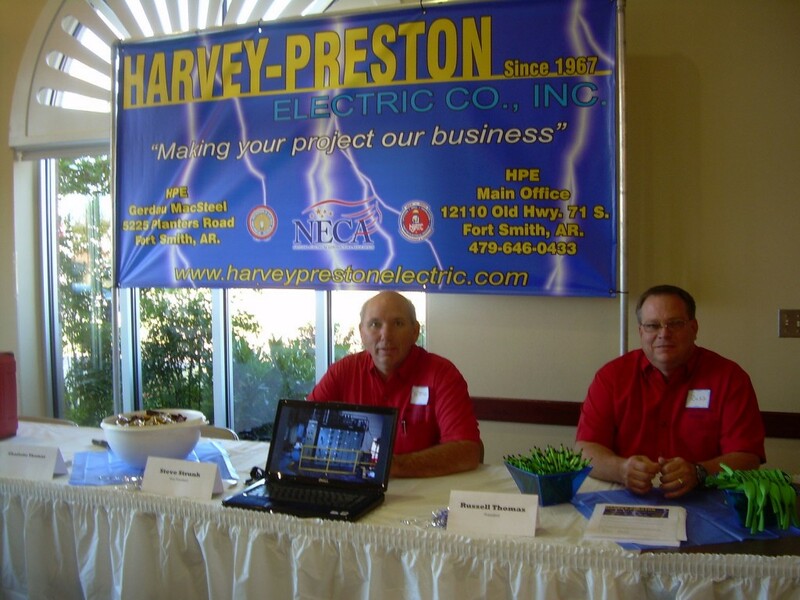 As members of the National Electrical Contractor’s Association, you can be certain that when you work with Harvey-Preston Electric Company, Inc., you are working with the best. To provide our customers with the highest quality electrical contracting services at competitive pricing regardless of geographic location.